It’s FUN- times 3 -when you play this exciting family card game! 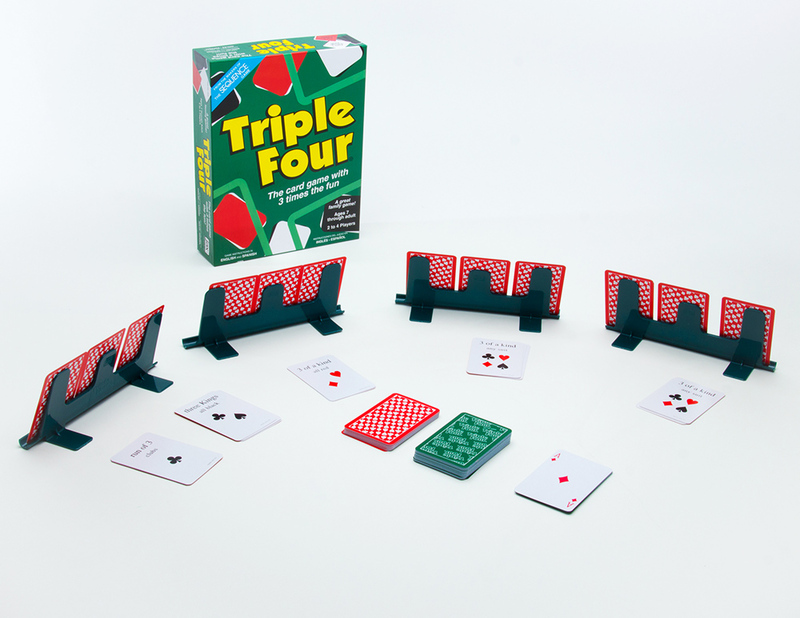 Match three of your playing cards to a “Triplet” card. And don’t forget…Jokers are WILD! Be the first to collect four groups of matching cards and you win the game! With a little strategy and the luck of the draw, you could score a TRIPLE FOUR! It’s three times the fun for the whole family.